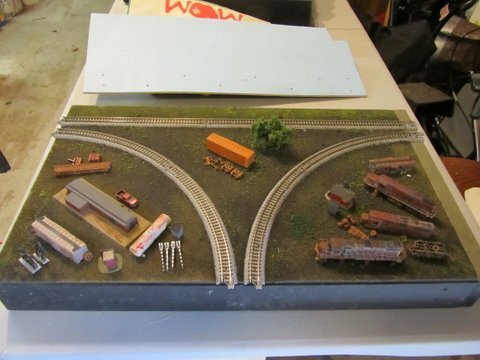 Description:This junction depicts a railroad service yard and and a scrapped engine storage facility. You'll notice to the right of the picture the smallest T-Trak module, that Steve Jackson has talked about, attached to the junction. The little module extends the length of the junction so that it is the length of a standard T-TRAK double.